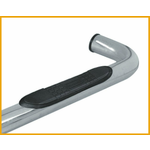 All U-Guard step bars are custom designed to fit each veicle with easy no drill installation. 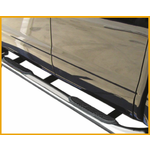 Maximum rust resistance, protection against road hazards and U.V. resistant step pad that will not fade or crack. 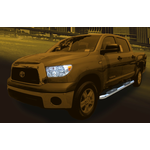 Widest range of applications for lamost all of North American pick-ups, SUVs and CUVs. 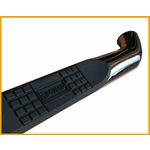 Special inside and outside e-coating pre-treatment to improve rust resistance.